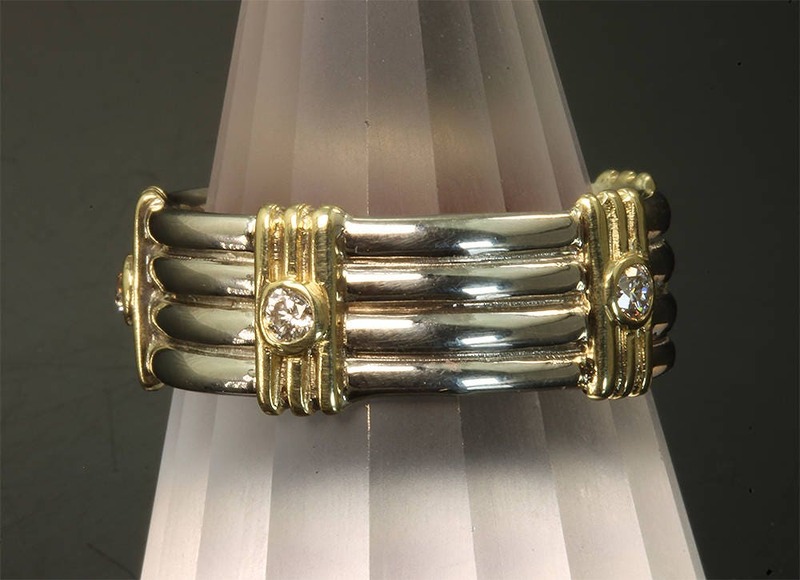 14K white gold band with 18K yellow gold accents and .15tcw diamond. 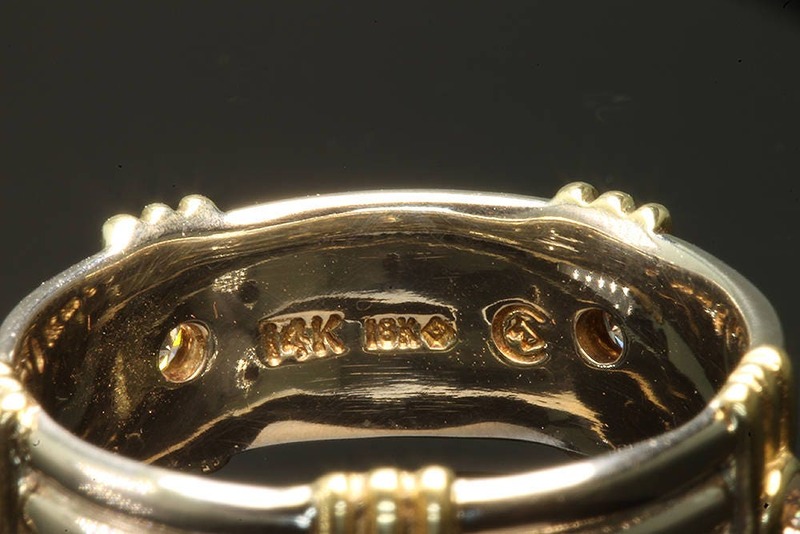 This particular ring for $899, is a size 9.25. 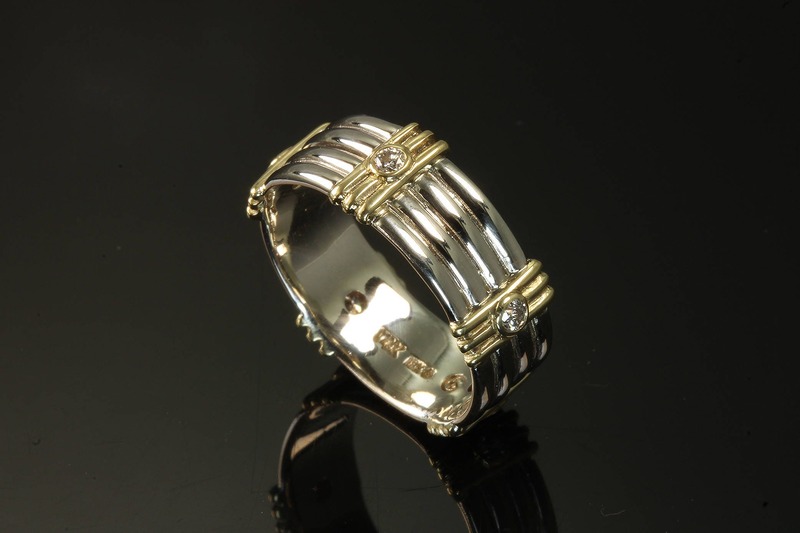 White gold band measures 7.2mm wide. 18K stations are 8.2mm wide. A great looking band!! 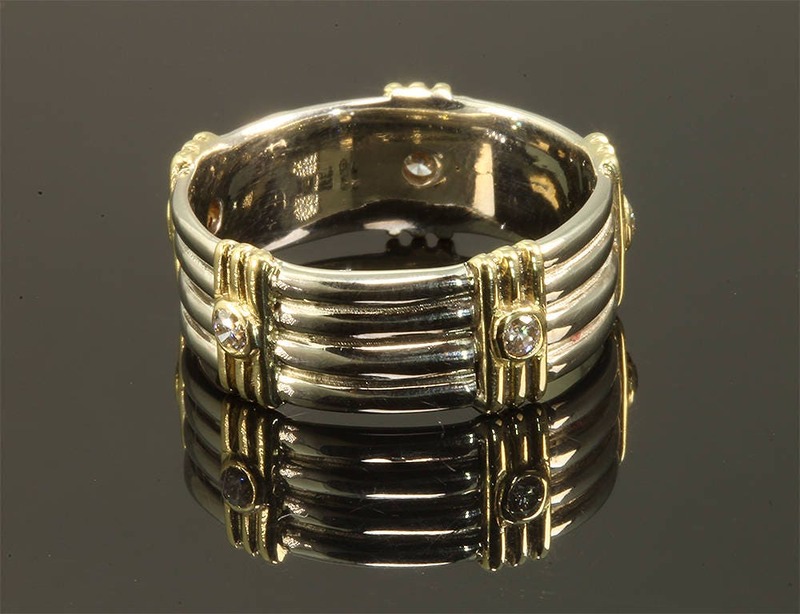 We can make this ring again in your size (price will vary), but we'll need about a month. Why? Because all you wonderful customers are keeping us that busy!! (Update: Jan 2018. Still busy!!) Thank you!!! !